Do You Think Property Investment is a Sure Thing? Think Again. Perth financial planners field a lot of questions about property investment on a daily basis. The concept sounds simple: purchase an investment property in a hot Perth suburb, rent it out and wait for capital gains to outperform all other forms of investment. But does it really work that way? We have helped plenty of investors with well-managed investment property portfolios do well. So we aren’t saying that you can’t make plenty of money with investment property. 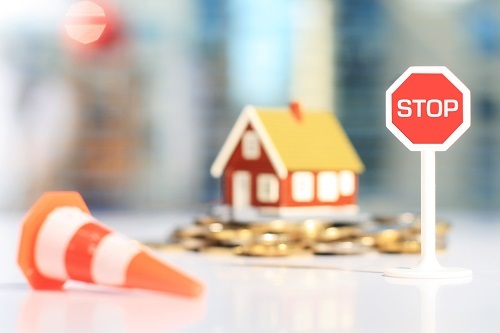 However, there are plenty of pitfalls that can stop property investors before they gain a foothold in the market. Here are a few of them. Were you ever a renter? Think back to what happened when something went wrong. Did the air conditioner go out? Did your roof suddenly spring a leak? Did an appliance such as a refrigerator or oven stop working? Do you remember who fixed the roof, replaced the appliance or bought a new air conditioner? It was the property owner. Ideally, you come up with a “fair” rent that turns you a small profit and find a long-term tenant who will acquiesce to a yearly raise in rent. Those kind of tenants are much harder to find than you think. Remember that every vacant month comes out of your pocket. Unless you want to spend a lot of time managing your own property, you will probably end up paying for a good property manager. This also comes out of your pocket. We know everyone’s financial situation is different. We have a lot of clients for whom property is a great investment. Usually, though, it is part of a diverse portfolio. If you are thinking of buying investment property in a Perth suburb or making any investment, call Approved Financial Planners for an obligation-free consult. Call Approved Financial Planners today: 08 6462 0888.